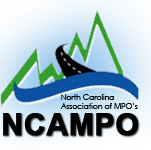 The 2019 North Carolina MPO conference will be an excellent continuing educational opportunity that will attract a diverse range of transportation planning and engineering professionals to the Charlotte Convention Center on April 24-26, 2019. Call for Technical Session Presentations. The 2019 North Carolina MPO conference will be an excellent continuing educational opportunity that will attract a diverse range of transportation planning and engineering professionals to the Charlotte Convention Center on April 24-26, 2019. The submittal window begins on November 1 and ends on December 7, 2018. Presentation proposals for conference technical sessions must be submitted online via a Google Form. The link for the technical session submittals will be emailed on November 1. Our goal is to notify the approved technical sessions by the end of February 2019 if your session has been accepted for the conference. Technical presentations shall not exceed 30 minutes including questions. The total session lengths are anticipated to be 90 minutes. There will be up to three technical presentation within each 90 minute session. The following a suggested topics for technical sessions. Presentations do not have to be limited to the suggested topics below. Any presentation topic related to public speaking, professional development, transportation, planning, transit, freight should be submitted. For questions regarding proposals, contact Neil Burke at nburke@charlottenc.gov or (704) 336-2205.